This ain’t no Test Drive! Drive customized muscle cars or power-mad monster trucks in an action-packed race for the checkered flag! 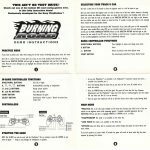 Look for the full version of Burning Road in stores this November! 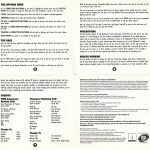 Coming Soon from PIE – other great PlayStation titles: Powerslave, VMX Racing. And oh yeah…when you’re finished playing this demo, pass it onto a friend, and tun them onto one of the hottest racing games out there! 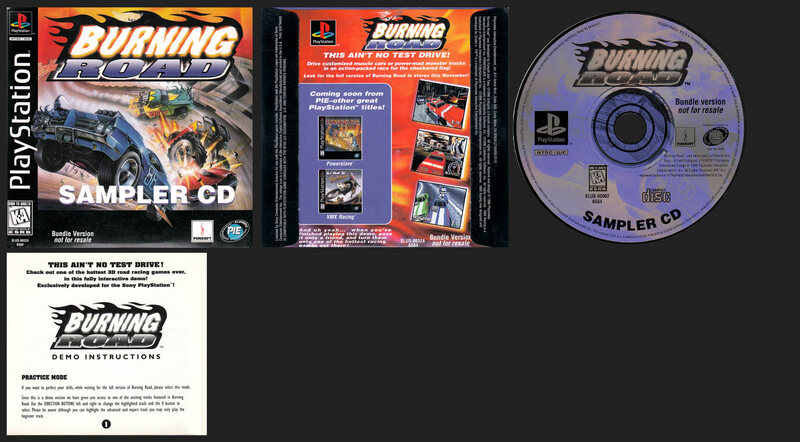 Includes a playable demo of the retail released game Burning Road and an instruction sheet. Distributed with Next Generation Magazine. 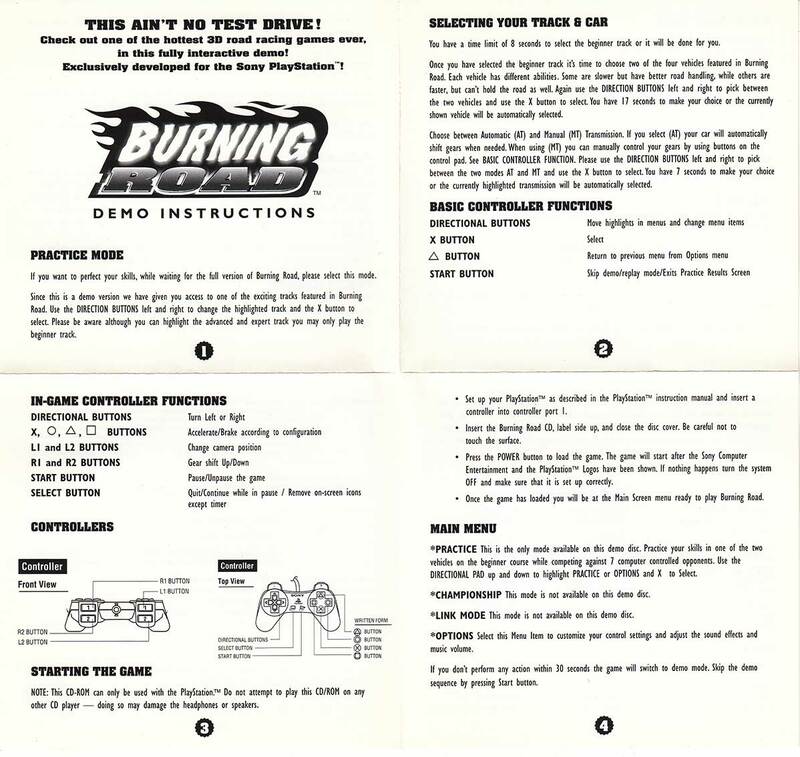 The Demo comes with a poster of the games control set-ups and other information. It is folded into 4ths and tucked into the sleeve. Included as a freebie with Next Generation Magazine #2, hence the ‘Bundle Version’ copy all over it. 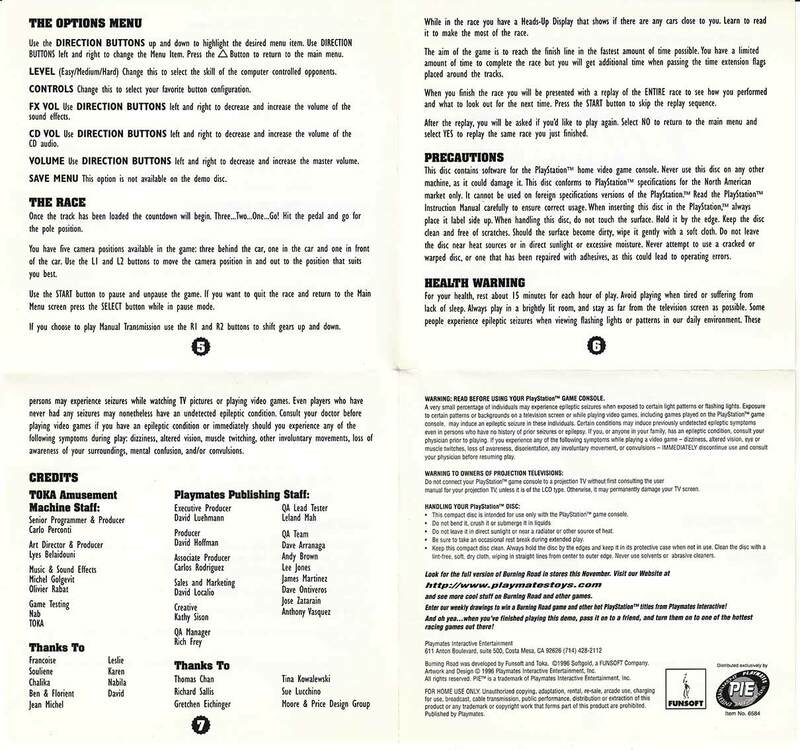 The Demo Sleeve has the wrong SLUS Number, which is actually the full retail game’s ID. The Demo Disc itself as well as it’s internal file have the correct SLUS-90002.